Manish Shah, M.D., F.A.C.S. is board-certified by the American Board of Plastic Surgery and member of the American Society of Plastic Surgeons, the American Society of Aesthetic Plastic Surgery and the International Society of Aesthetic Plastic Surgery. Dr. Shah’s specialties include revision facial aesthetic surgery, rhinoplasty (“nose reshaping”), and aesthetic surgery of the breast (breast augmentation, breast lift, breast reduction). He is, however, well-trained in all areas of aesthetic surgery. Dr. Shah’s aim is to obtain a natural appearing transformation that complements the real you! 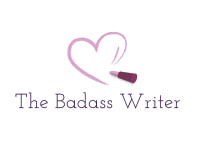 Thank you for reading The Badass Writer! What do you do for a perfect night’s beauty sleep? Leave me your comments below. Plenty of surprises coming up so do subscribe so you don’t miss a thing!